Water balls are usually made to 2m diameter Round, TPU or PVC material, TIZIP zipper from German. And we can do different size as your requirements, 1.5m, 1.8M dia. 2.3M dia. 2.5M, 3.5M diameter. etc. Adults and children can use it. the wide welding seams of water walking balls make the ball more durable! High quality with competitive price of this ball will be provided. 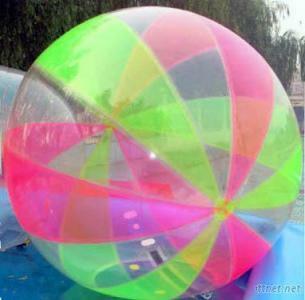 Widely used for playing center, amusement park, water games, holiday events, swimming pool and seashore scenic spot. Sports & Entertainment, Water Sports Supplies/n.e.s., Water Sports Supplies/n.e.s.